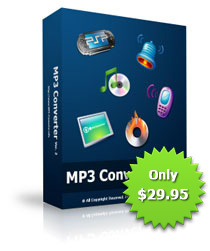 In fact, Download MP3 Converter then can convert whatever media file you have. But that’s just the start for what is a very cool little MP3 Converter. Download MP3 Converter evaluation version of MP3 Converter now for a free test and to find out other interesting ideas how you could use it. Unleash your MP3 creativity now!